Orbital Insight has acquired FeatureX, a privately-held AI company — this acquisition brings new talent to Orbital Insight’s expert team and expands the company’s geographic footprint into Boston, Massachusetts. FeatureX, founded by serial entrepreneur and machine learning expert Gil Syswerda, specializes in computer vision for satellite imagery — specifically, object detection, image enhancement, and deep learning techniques. The acquisition enhances Orbital Insight’s expertise in these areas and strengthens the company’s research initiatives into new, cutting-edge applications. This is the first acquisition made by Orbital Insight, which most recently raised a Series C funding round in May 2017. Syswerda will become VP of Technology Research at Orbital Insight, reporting to Chief Development Officer Dave Story and leading the Boston office. Orbital Insight will expand their new Boston office under Syswerda’s leadership as the company continues rapid growth. Dr. James Crawford, the founder and CEO of Orbital Insight, stated his firm has great respect for the innovative work that Gil and his team have accomplished at FeatureX. 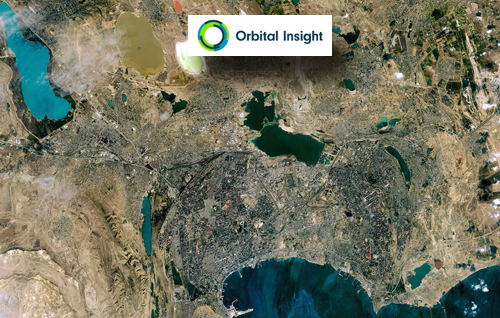 This acquisition complements Orbital Insight’s product development efforts very well and will help to accelerate progress on the company's mission to better understand what’s happening on, and to, Earth through geospatial analytics.